“The new innocence”, DIE SELEKTION’s self description, is the first of many enthralling contradictions raised by the young band. Fast beats, cutting bass lines, bleak and subcooled synth layers, and then – the most unusual instrument for this genre: The trumpet. The plain brilliancy of how this works out leads to one question only: Why has no one done this before? It doesn’t happen often that a new, young act finds such a good reception like these fledging boys from Southern Germany. Already their very first demos caused a lot of attention and euphoria – a rare achievement in nowadays “dark scene”. 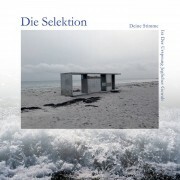 Ever since “Du Rennst”, their first dancefloor hit in the clubs, DIE SELEKTION is a breath of fresh air in the dusty and often narrow minded world of dark electronic music. Maybe their youth is the secret to their self confidence and fearless approach, they overcame their idols easily and present the best possible emancipation from giant groups like DAF, NITZER EBB or DIE KRUPPS. EBM influenced hard and dark Techno project started by Thomas P. Heckmann in 1998 for the Force Inc Music Works label. Typical of Heckmann’s Wavescape era output, the Welt In Scherben style is based around the Sägezahn sound. Melania . 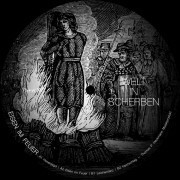 is a techno / industrial / EBM / new wave / experimental / ambient solo project from Berlin. Melania derived from Greek ”Μελαινα” – meaning “black, dark”. In Greek Mythology Μελαινα was one of the nymph of the sacred Korykian cave, presided over the subterranean spring. 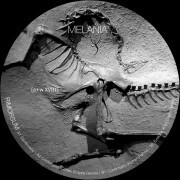 Posted on April 26th, 2017 under Releases, aufnahme+wiedergabe, Melania . 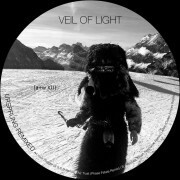 Here’s 4 tracks from the Veil Of Light’s Ursprung LP remixed by S S S S, Phase Fatale, Blush Response and Codex Empire. 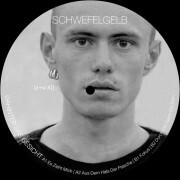 Here’s the latest EP from Schwefelgelb, a Techno Body Music duo from Berlin.